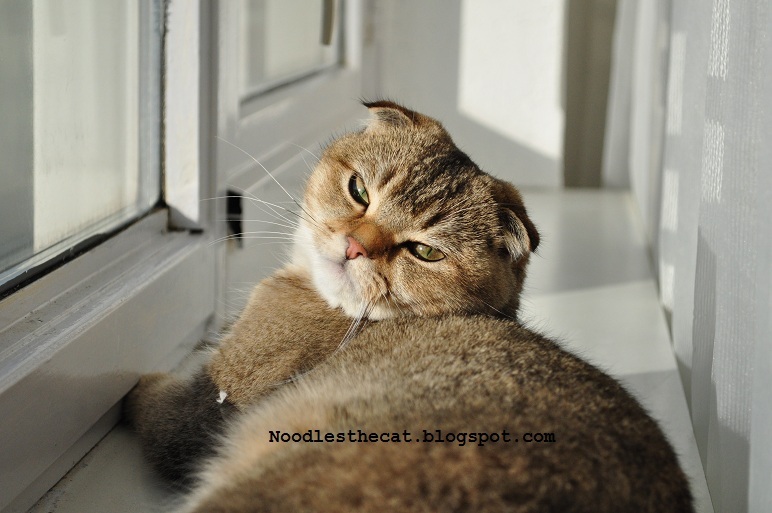 I IZ NOODLES THE CAT: Sun Puddle!!! I asked humanz to join me, but they iz too big. More sun for me!